[Dubba's 2015 Update] 30 years old and still kicking! 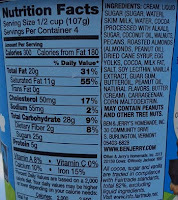 NYSFC has made the transition to Non-GMO ingredients, not bad considering it has five different mix-ins (inclusions). Nick's review after the break still stands and I will only add that I agree that the chocolate base runs the show. [Original 2013 Review By Nick] With the ice cream year pretty much over, there really isn’t too many “new” products left on the store shelves. Going down the freezer aisle has lost it’s thrill for the rest of the year. Have no fear though because there of plenty of old products that Dubba and I have yet to review. Today’s flavor comes highly recommended by my friend Anthony. 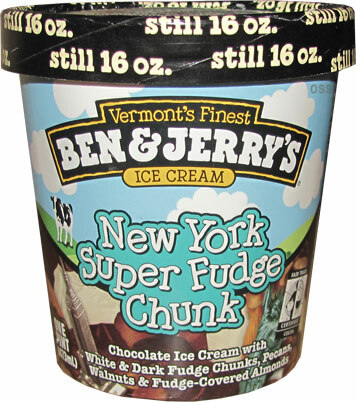 Ben & Jerry's New York Super Fudge Chunk ice cream (that’s a mouthful in more ways than one) was originally released as a way to break into the New York Market. 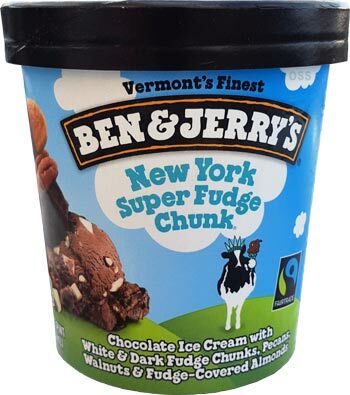 Being from New York, I don’t really see the correlation flavor-wise but Ben & Jerry’s says they thought they could leave a lasting impression if they “added more chunks than any other flavor we'd made.” Now that’s a statement I can get behind. I’m actually surprised that I have yet to try this flavor. Besides my disdain for Ben & Jerry’s chocolate base, everything else about this flavor sounds right up my alley. Being a mix-in fiend, when something sports five different mix-ins you can’t help but be intrigued. And I mean come on, if it’s good enough for Xzibit, how bad can it be? The opening view only hints at the amount of mix-ins this one contains. Digging in, Ben & Jerry’s chocolate base has never impressed me and it’s no different here. I’m not going to say it’s bland but it comes off as flat and lacks any real richness. I wish they would either reformulate the base or just use their milk chocolate base more often. Now with the mix-ins, I originally had planned to extract one of each from the pint to photograph but it’s extremely warm here so I’m working against the clock. Instead I’ll just describe each of them from my least favorite to my favorite. My least favorite had to be the walnuts. Their flavor is just too weak to stand a chance against the chocolate base. They feel like an after though to be honest. 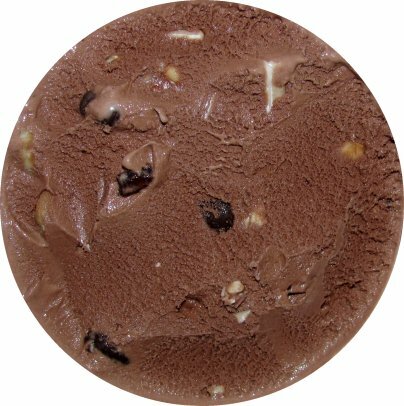 It’s as if they had too many walnuts left over from Chunky Monkey and decided to throw them into this flavor. Barely beating the walnuts for the worst had to be the dark fudge chunks. 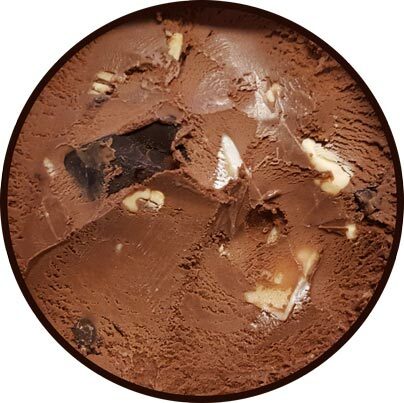 Just like the walnuts, there flavor was masked by the chocolate base. Adding chocolate to an already overpowering chocolate base is pretty useless. They only reason I’d rank them higher than the walnuts is that they added a nice solid thud each time you bit into one. Next up are the pecans. I was actually surprised by the amount of pecans in the pint and the ability of them to make themselves noticed. 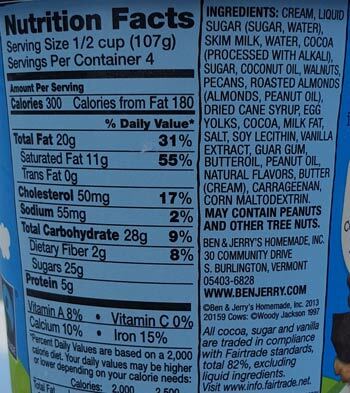 I love pecans so anytime they’re able to contribute flavor-wise I’m a happy camper though I’m disappointed with Ben & Jerry’s lack of creativity by just leaving them raw. None of their other flavors currently offer pecans so they could’ve easily used praline pecans, buttered pecans or even honey glazed pecans to add to their overall flavor contribution. As is they’re still a quality mix-in. The last nut of the bunch comes in at second. While I do prefer pecans, the fudge covered almonds slightly edged them out. Of course I couldn’t taste the fudge they were covered in over the chocolate base. 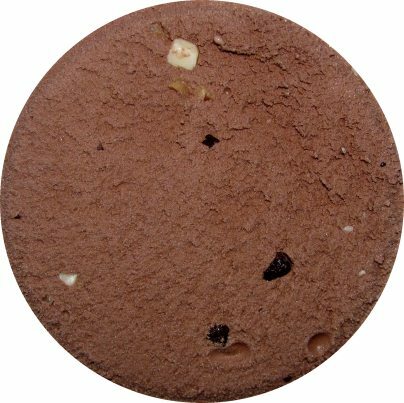 However, the fudge coating added a pleasant crunch that released the nutty almond flavor inside. I’m sure these taste great on their own so I’d like to see Ben & Jerry’s add them to a more neutral base so I could get a better read on them. Now this leaves only one mix-in left and it was hands down my favorite. I’m a big fan of white chocolate and would say more often than not I’d opt for it over any other chocolate even though it’s technically not even chocolate at all. The buttery chunks just worked well with the base offering that richness that it so desperately needs. They’re about the same size as the dark fudge chunks but they have a softer texture. Even while frozen, you can bite right through them with ease. Okay if you’ve made it this far I commend you. That was a lot of rambling about mix-ins. I’m guessing you’d like to know how the flavor works as a whole already now, don’t you? Well, it’s about average in my book. Sure it’ll easily satisfy those looking for a ton of mix-ins. There’s just nothing about it that really sticks out though. I’m sure if they had used their milk chocolate base this one would’ve been able to excel but when you can’t taste 40% of the mix-ins it really limits its potential. Oh well, at least I can check another Ben & Jerry’s flavor off my list. you are soooo wrong - this stuff is killer delightful, so complex and satisfying - would any ice cream satisfy you? Once I start eating this, I have a hard time stopping! All the mixins and the chocolate base blend amazingly well. I'm just bummed it's not at my grocery store anymore. I tried cheesecake brownie today-yuck. Why remove this indulgent unique flavor but keep something like that. Smh. Can you try another store or two? I don't believe this is cancelled, but as competition grows, your particular store may not carry it anymore. Don't lose hope just yet. Also, have you ever tried their "Everything but the..." flavor? It's not quite the same, but still a busy flavor, definitely more similar than cheesecake brownie.